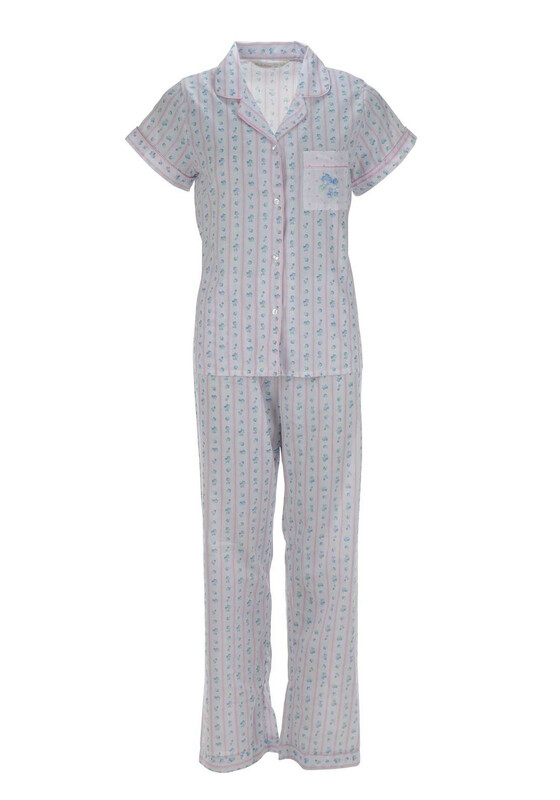 Crafted from lightweight cotton blend fabric, this pyjama set from Lady Selena will keep you cool and comfortable on warmer nights. The short sleeve pyjama top features an all over floral print and striped pattern. 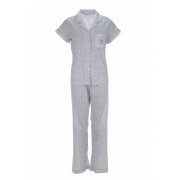 Other details include an open neckline, full button fastening and chest pocket.